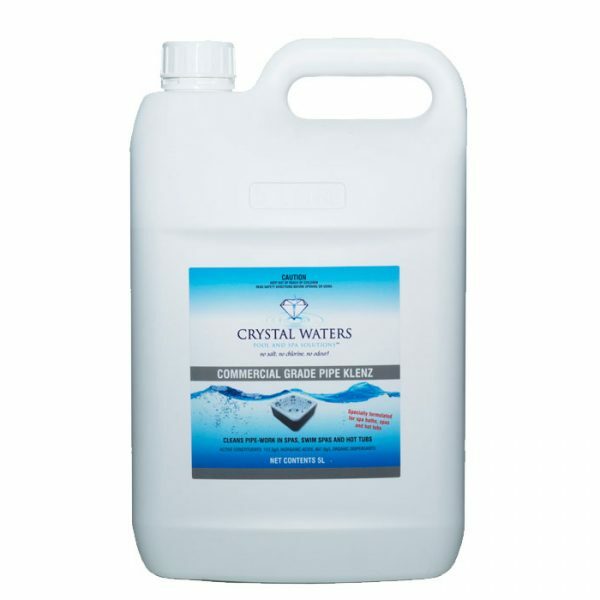 Crystal Waters Pipe Klenz is used to thoroughly cleanse body fats and oily build ups from your pipework, extending the life of your swim spa, and enhancing the cleanliness and clarity of your water. We recommend performing a Pipe Klenz once every 12 months, or sooner if you re having ongoing water quality issues. Click here to view an instructional guide. Please Note: Commercial Grade Pipe Klenz is exactly the same product as Spa Pipe Klenz, though due to the size of the bottle, its primarily used for commercial use and the dosage instructions on the bottle are adjusted accordingly. Dosage: 250ml per thousand litres. 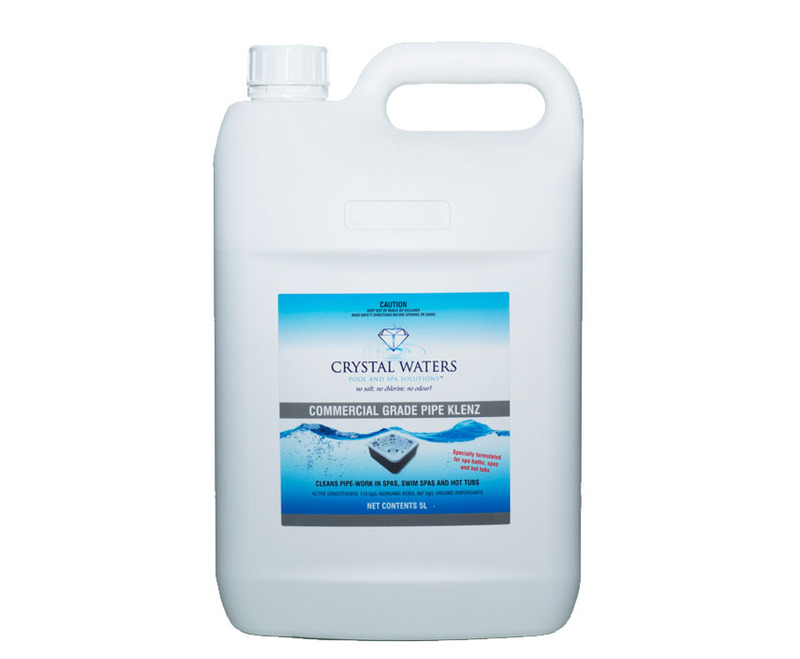 Active constituents: 887.5g/L Organic dispersants, and 112.5g/L Inorganic acids.